Still in print in hardback at £19.99. 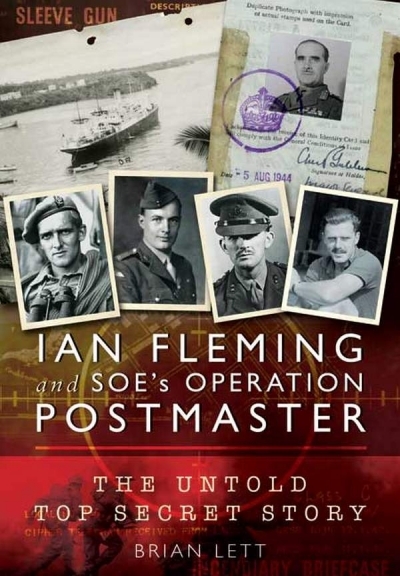 Incidentally, the claim that the character of James Bond in Ian Fleming’s books was based on the participants in this operation needs to be taken with a little pinch of salt. When I was working in Paul Minet’s bookshop in London’s West End we were visited frequently by one Merlin Minshall, who always wore a red carnation in his button-hole, and who also claimed to be the inspiration for James Bond. One day I found the book he had written (‘Guilt-Edged’) and read it. I have never seen a copy since, but instead you could look at the website https://www.007.info/merlin-minshall-the-original-007/?doing_wp_cron=1553517965.5359029769897460937500.